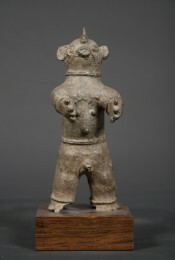 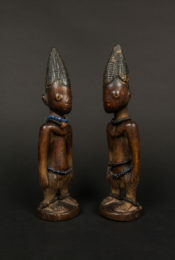 Lobi figures called thilbou were placed along with other sculptures on family shrines which served to honor the ancestors, please the spirits and protect the community. 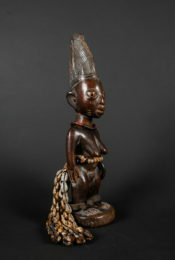 Every Lobi family maintained a shrine. 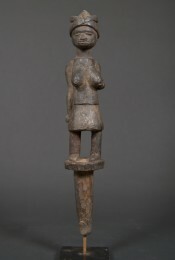 There are many conflicting interpretations for these figures (protection against enemies, warding off of evil spirits, intermediaries, prevention of sickness, etc.). 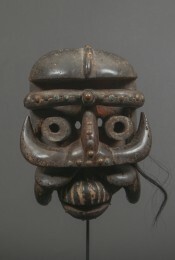 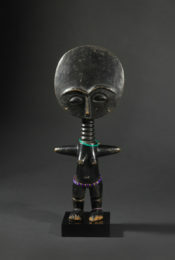 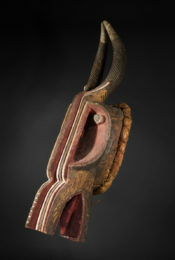 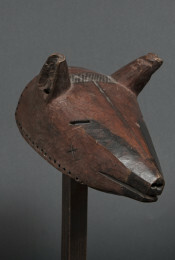 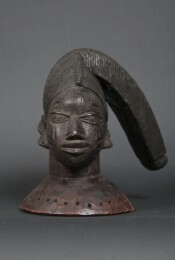 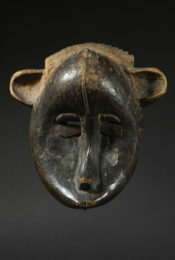 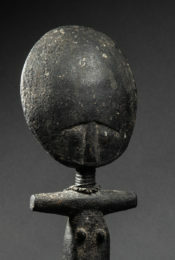 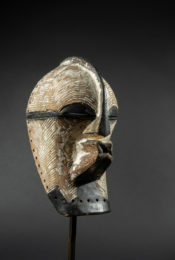 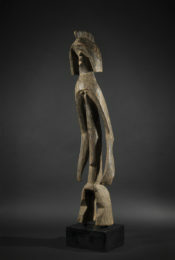 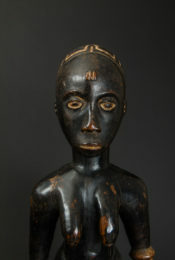 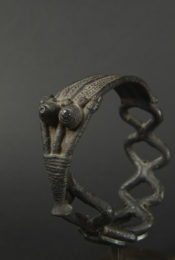 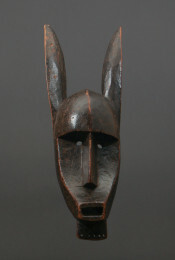 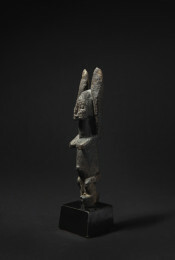 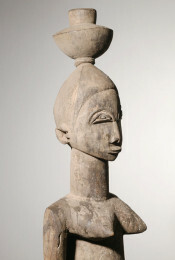 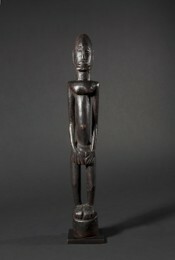 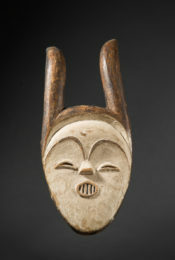 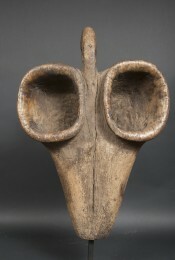 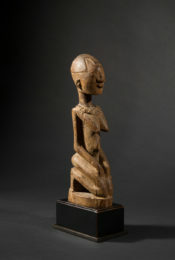 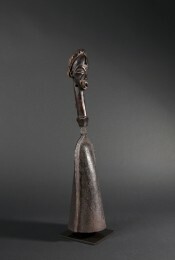 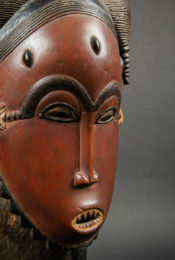 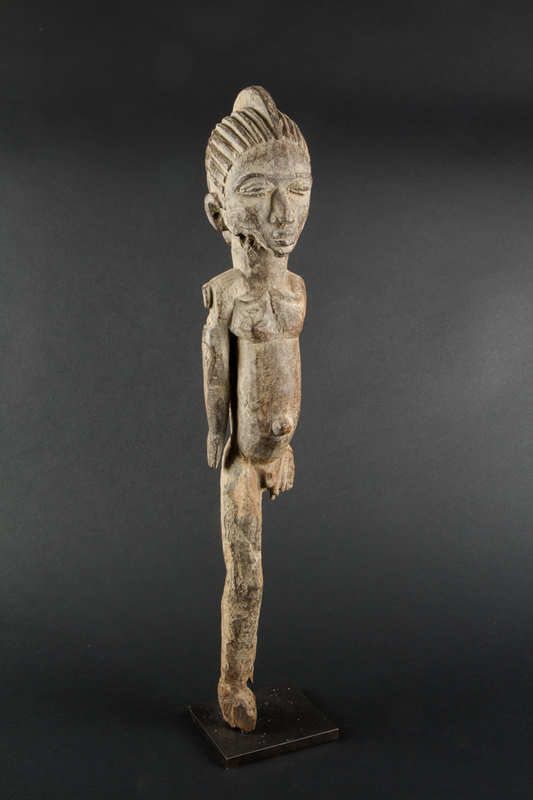 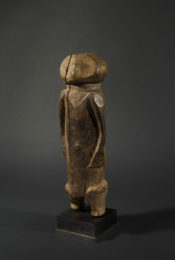 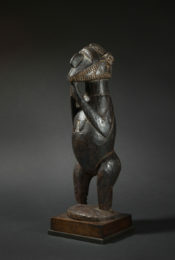 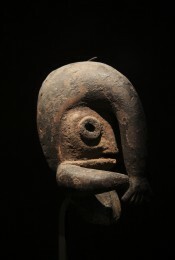 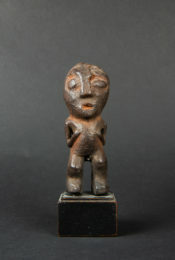 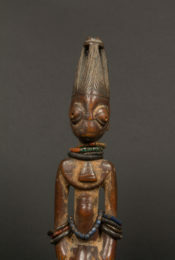 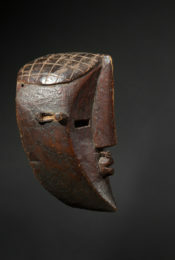 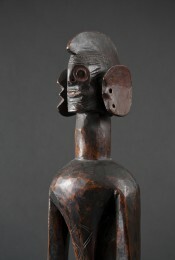 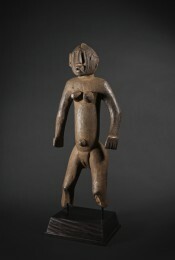 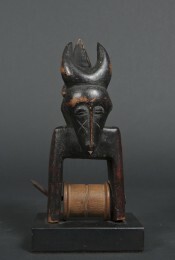 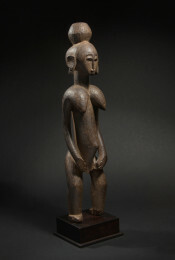 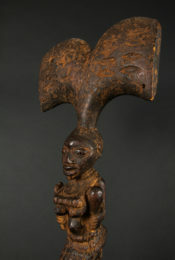 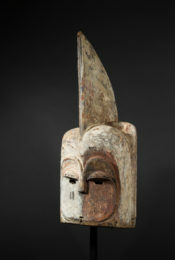 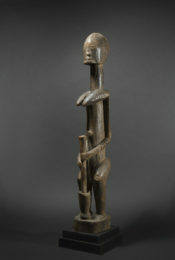 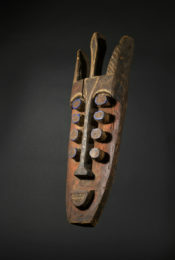 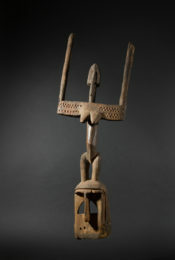 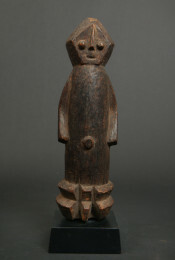 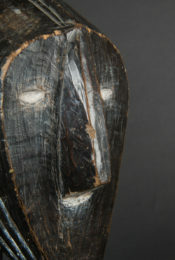 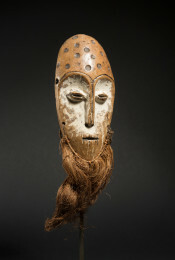 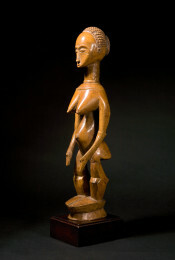 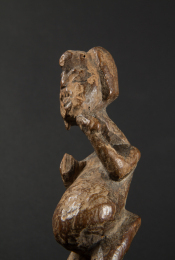 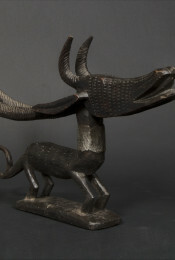 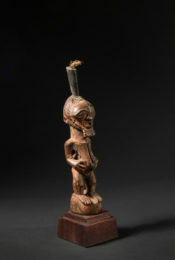 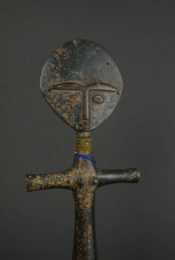 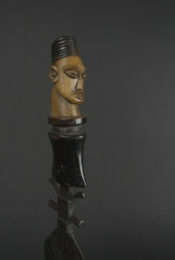 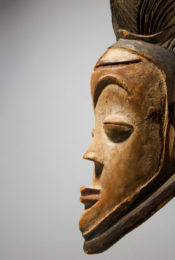 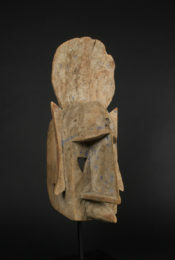 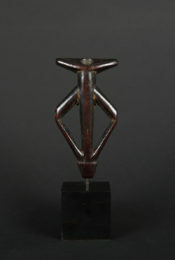 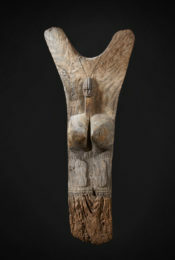 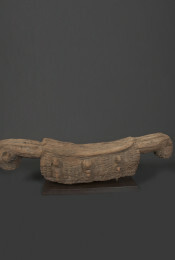 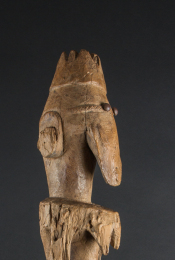 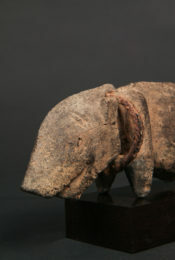 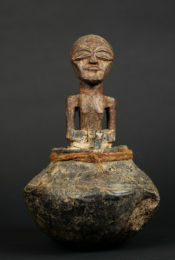 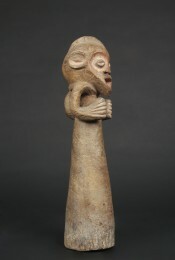 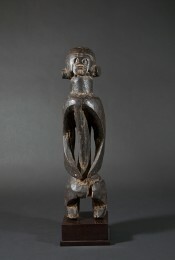 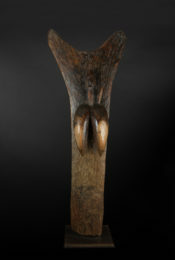 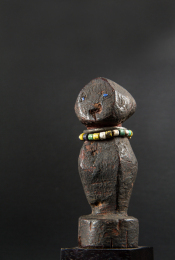 According to Julien Bosc, ethnographer and specialist of Lobi art and culture, the exact function and purpose of these figures depended on the individual prescription of the soothsayer. 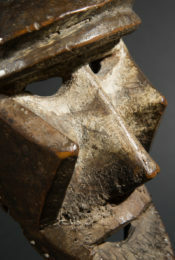 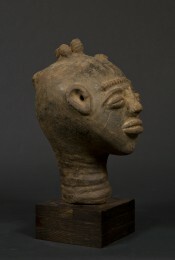 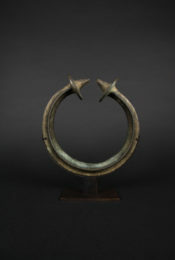 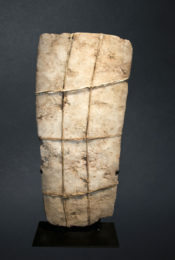 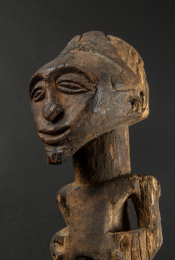 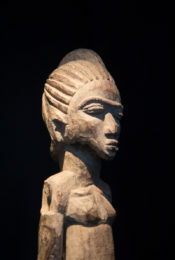 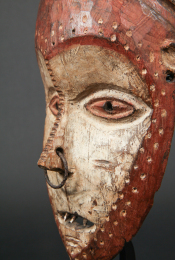 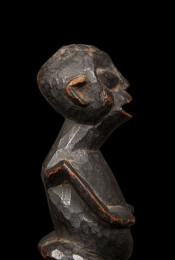 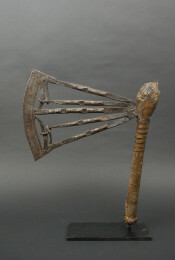 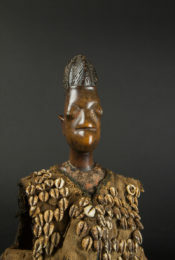 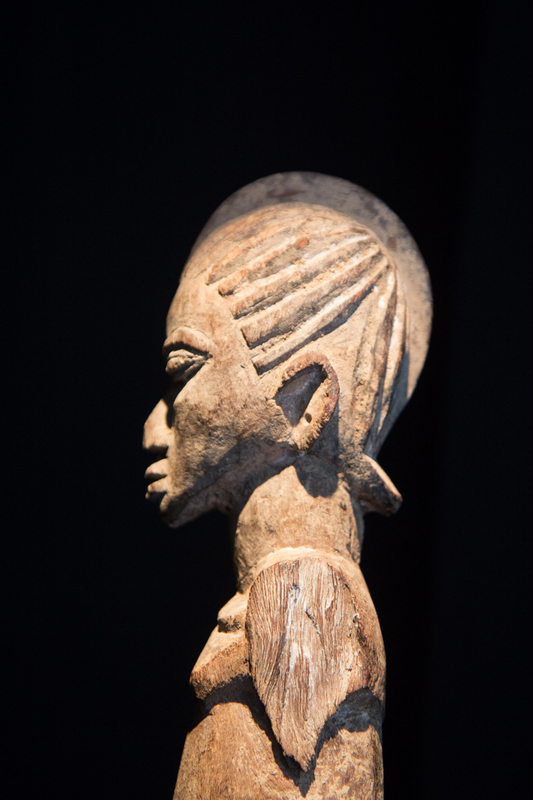 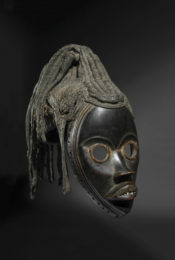 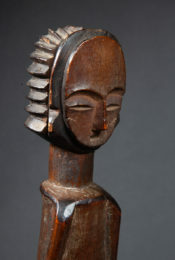 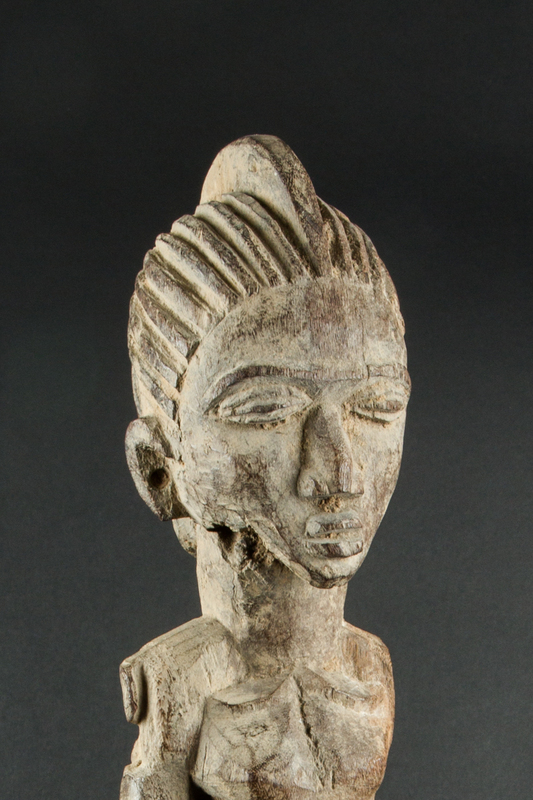 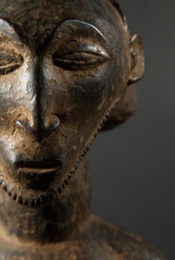 With regard to the spiritual nature of the carved heads or statuettes, Piet Meyer states in his book Kunst und Religion der Lobi that they were considered to be beings in their own right, whose essence was answerable both to the spirits and to men. 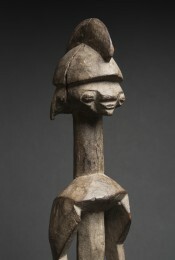 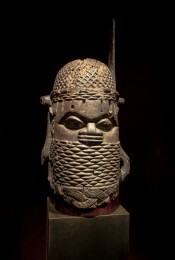 When placed on an altar dedicated to a spirit, they strengthened its protective power by their presence.